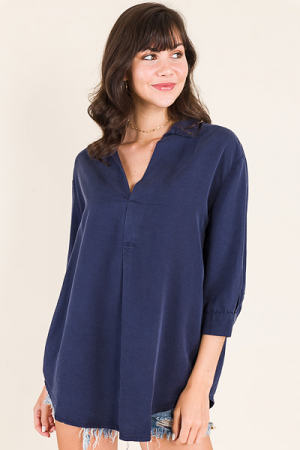 This V neck is definitely going to become a staple in your closet! Made from a super creamy tencel fabric, it feels (and fites) like heaven! Features a center pleat to keep it free of cling, and a longer hemline in the back for some added coverage.